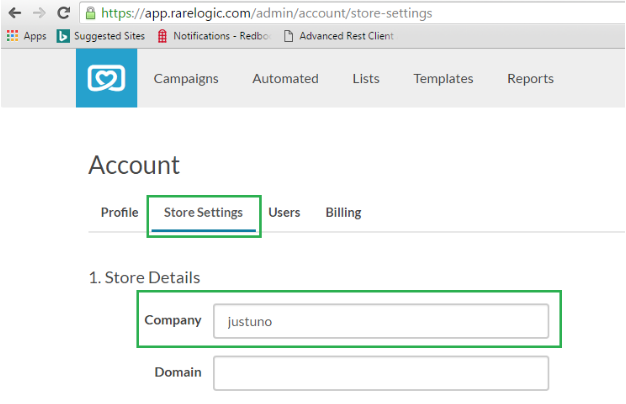 Integrating Justuno with your Rare.io account will add all new contacts to your “All Prospects” list in Rare.io. 2. 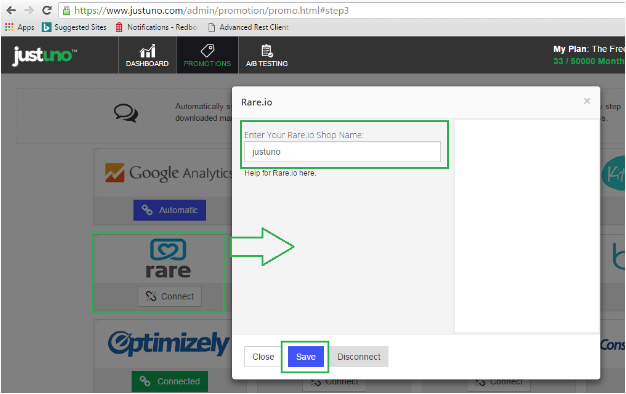 Log in to Justuno and click "Promotions" and then select "Edit Integrations" next to the desired Promotion. 3. On the "App Integration" tab, locate and click on the Rare.io "Connect" button to launch the configuration options. 4. Enter your Store Name from Step 1 above, and click “Save”. 5. Your Justuno contacts will now be added to your All Prospects list in Rare.io!